It's turning out to be a busy week in the motorcycling world. After witnessing over half a dozen launches and updates, Kawasaki has stepped up and launched the 2019 edition of the Versys 650. However, don't expect to see any substantial changes. The only thing new here is the metallic grey paint scheme on the fuel tank with black panels all around. And boy does it look sweet with the green accents on the rims, fuel tank, tank extensions and the rear cowl. 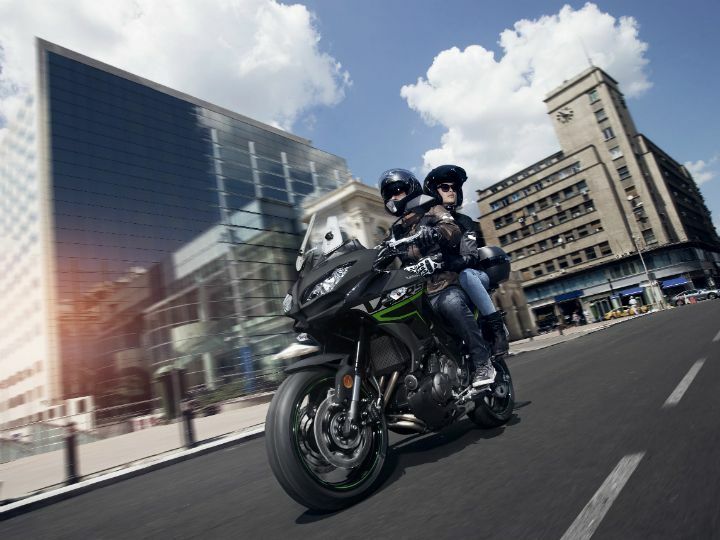 Earlier, Kawasaki only offered the mid-size ADV in metallic black. Hence, we welcome the addition of a new paint option. At Rs 6.69 lakh (ex-showroom Delhi), the pricing remains identical to the outgoing version. Mechanically, it continues to be powered by the same 649cc, parallel-twin, liquid-cooled engine. This engine churns out 69PS of power at 8500rpm and 64Nm of torque at 7000rpm, mated to a 6-speed gearbox. The Kawasaki Versys 650 rivals the newly launched Suzuki V-Strom 650XT (Rs 7.46 lakh) and the SWM Superdual T (Rs 6.80 lakh) (all prices, ex-showroom Delhi). India Kawasaki announces launch of Versys 650 MY 2019 with new colour scheme. Known as all roads, one bike, Versys 650 has the agility and all-day comfort to carve through canyons. The Versys 650 now is available in Metallic moondust grey / metallic flat Spark Black colour. Except the change in the colour scheme there are no changes mechanically. The Versys 650 has nimble yet powerful 649cc parallel twin-powered engine. The slim upright riding position, exceptional long-range potential and sporty chassis are the recipe for a fun open-road adventure on the interstate or through back roads. The display has a gear indicator to increase shifting precision and confidence.